Thank you for stopping by FeedMeMore.com. 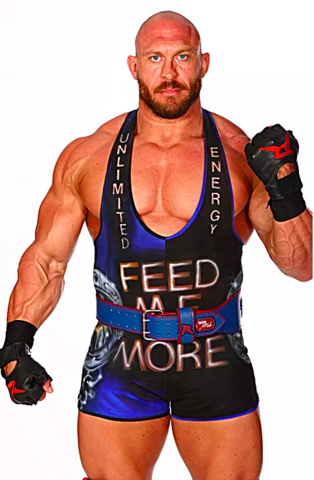 My name is Ryback Reeves and Feed Me More Nutrition is one of the things I’m extremely passionate about. Our goal is to give you ultra premium supplements that work at an affordable price. Unfortunately, the supplement business is like the majority of businesses in life where there is a mix of some good and a lot of bad. I can’t control what other businesses do, but I can control what we do here at Feed Me More Nutrition. Our price margins are much lower than most supplement companies, and this isn’t my main source of income. I truly despise what most supplement companies do by producing dirt-cheap supplements that don’t work and selling them for high price margins, underdosing their supplements, using performance enhanced bodybuilders, athletes and figure models to promote their brand, and a host of other lies and deceptions to trick you into a one-time buy of their supplements. I have created a brand I am proud of and want you to feel comfortable returning time and time again because you know you can trust and count on Feed Me More Nutrition. All of our supplements are free of artificial sweeteners and colors (minus the red top Wake Up Unlimited Energy) and we use more natural, proven ingredients to help you reach your fitness goals. Get Hungry, Stay Hungry, Feed Me More!